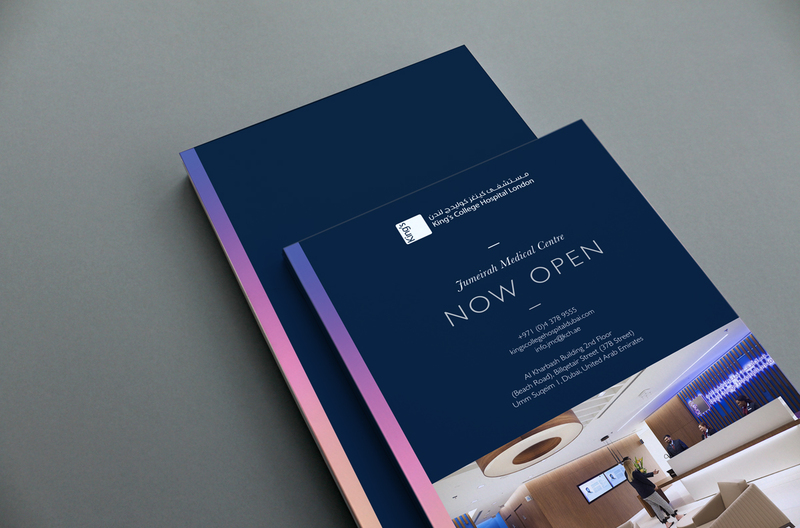 We were asked to develop a brand for a new hospital in Dubai. The hospital was linked to the existing UK based Kings College Hospital London. The task was to use the existing Kings identity but adapt to create a brand that would attract the wealthy Emirate and Expat. Along with the elite positioning it also had to communicate the difference around its service, the British Heritage and long history and its focus on compassionate care. We also wanted the brand to stand out from its competitors in Dubai, giving the brand a real sense of British Heritage through distinct typography and a richer colour palette.